Background: Neonatal aortic arch thrombosis is a rare but life threatening condition. A correct diagnosis and an appropriate therapeutic approach are fundamental to prevent death or severe injuries. 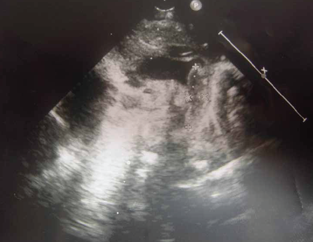 Case presentation: we report a case of spontaneous aortic arch thrombosis in a term new-born, who presented with suggestive signs of aortic coarctation immediately after birth. Despite the initiation of anticoagulant therapy, a massive increase in size of thrombus with evidence of coronary involvement was noted. Thrombolytic treatment was performed with thrombus resolution. Death occurred after a few days due to widespread brain haem-orrhage. Conclusion: To date, no definitive guidelines have been published for the treatment of neonatal aortic arch thrombosis, and only anecdotal reports are available. A multidiscipli-nary approach is fundamental in order to evaluate the risk:benefit ratio of proposed medical and surgical interventions. Further studies are needed to improve consensus evi-dence based guidelines and ensure appropriate approaches to this condition.